Heat up a roasting tray with touch of olive oil, and sear the beef cheeks on all sides and set aside. Add the onion, garlic and herbs to the roasting trays and cook until softened. Return the cheeks to the tray, add beef stock and bring to the boil, cover with foil. Cook in the oven for 8 hours until almost falling apart. Take the cheeks out of the tray, add the whysky, flame it using a match. Add the creme fraîche and mustard, bring to a simmer and return the cheeks to the tray, simmer for 5 minutes. It’s that time of the year again, the festive season is nearly here! Time to start planning what you’re going to eat for Christmas lunch or even Christmas eve. 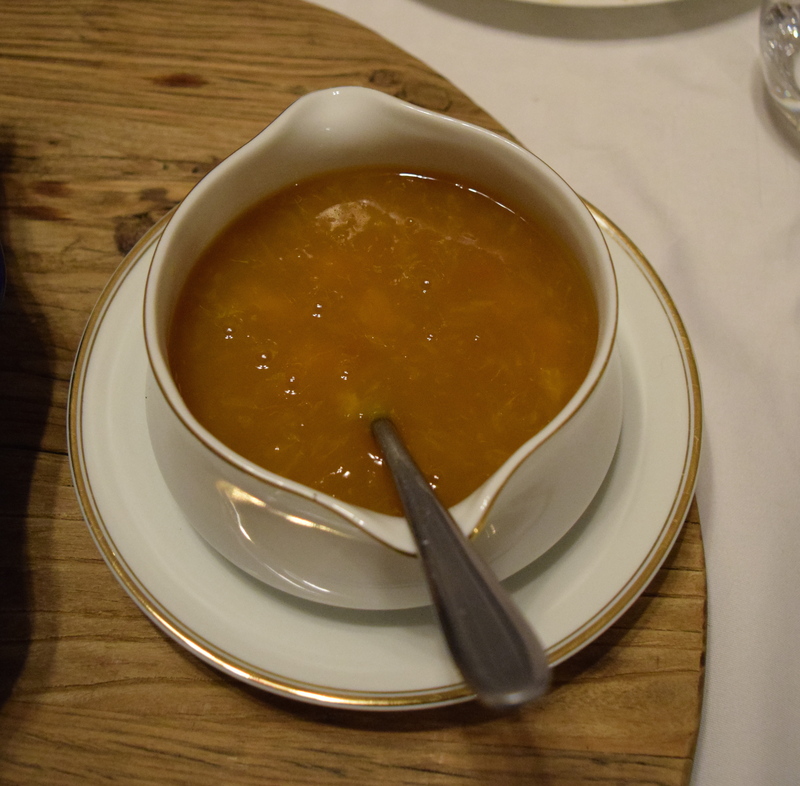 It is an exciting time of the year with all the cooking, baking and tasting of all those delicious Christmas dishes. The honey and spice quail is good way to start your Christmas lunch, as you can have it as part of a sharing platter or as an entrée on its own. This recipe is a spin on the more traditional ( Caille aux Raisin) Quail with a grape sauce. 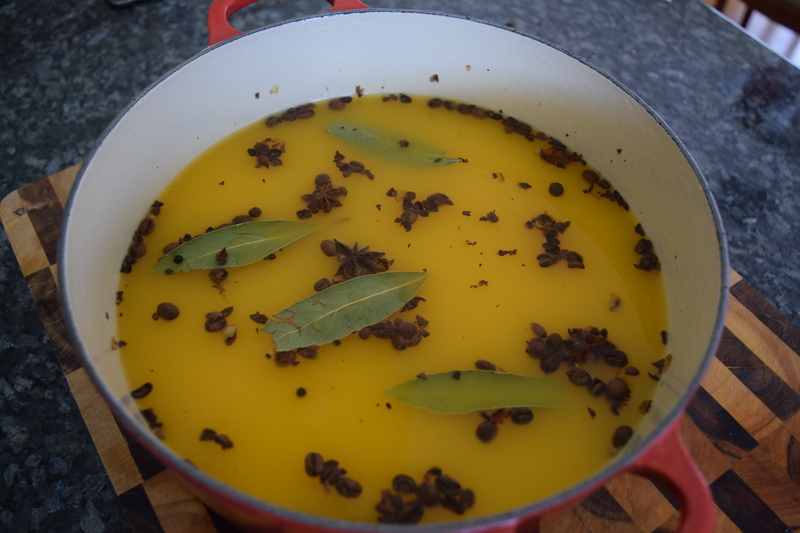 I chose to marinate it in honey, verjuice, 5 spice, tangerine peel and sage to give the meat a unique flavour. 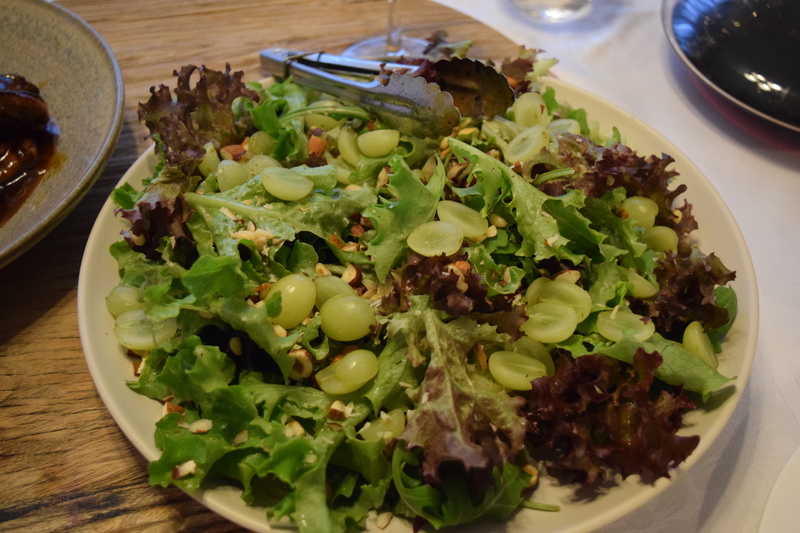 I made a fresh grapes, rocket and nuts salad to match my quails, the salad adds freshness to the dish and complement it perfectly. Mix the honey, verjuice, water, five spice and sage together. Place the quail in a container deep enough to contain the marinade. Pour the marinate over the quails and leave to rest in the fridge for a couple of hours. Take the quail out of the marinade and pat dry. Heat up a large frying pan with a little bit of olive oil. Cook the quail skin side down first for about 4 minutes on medium heat. Turn the quail around and cook for a further 2-3 minutes. Remove the quails from the pan and pour the marinade in, reduce until it starts to thicken and then put the quails back in and toss them around to coat them with the sauce. Mix the almonds, pinenuts, hazelnuts together in a salad bowl. Mix with the fresh grapes and baby leaves. Whisk 1 tablespoon of Dijon mustard, 3 tablespoon of white wine vinegar, pinch of salt, 1 clove crush garlic and olive oil to taste together and drizzle over the salad.